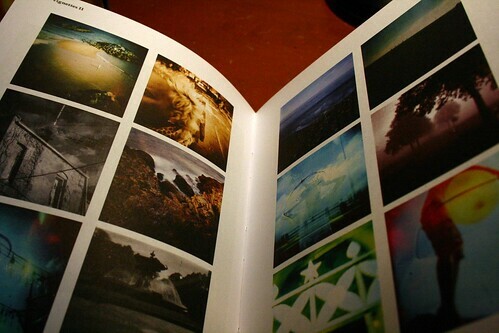 Recently I am interested into something called the Lomography, it’s a kind of photography and I don’t really know how to explain about it. It’s an art. Basically, from what I’ve known, lomography is a kind of photography produced by toy film camera and resulting in unperfect photo element like over expose, light leaks and more. These photo deficiency will turn into a piece of beautiful artwork and I like the effect. There’s no shop selling Lomo camera in Penang. 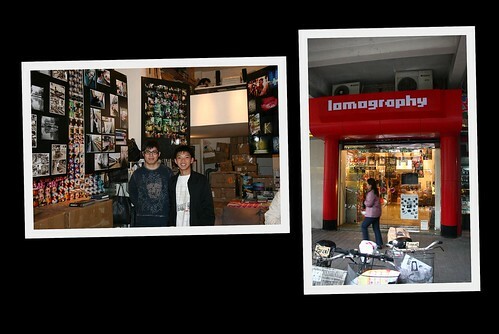 During my trip to Guangzhou, I have found a Lomography specialty shop on No 87, 豪贤路 Hao Xian Lu. You can take the Guangzhou Metro to 农讲所 Nong Jiang Suo Station and go to the Exit C. I went there and I bought myself a lomography toy camera, the Diana F+ and a fisheye adapter for it. 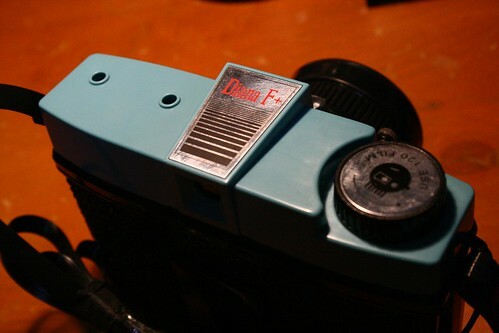 Why I say it’s a toy camera because it feels very toyish with its plastic built body. 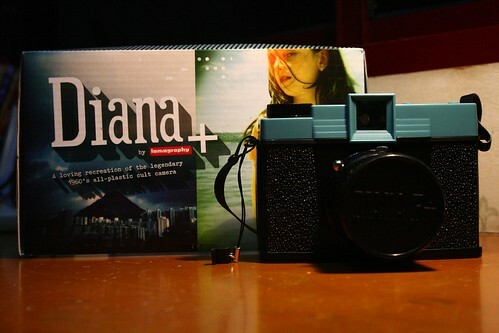 It’s one of the cheapest lomography camera I bought it for like 300+ Yuan. The camera itself is cheap but it will be expensive when it comes to processing the photos. I think the building cost is just a few tens bucks, it won’t be expensive because it’s plastic but the selling price is a little bit high. For the sake of hobby and interest, I have to fork out my money, eat less, save more to fulfill my daily necessity in order to improve on a better happy life. Hehe. 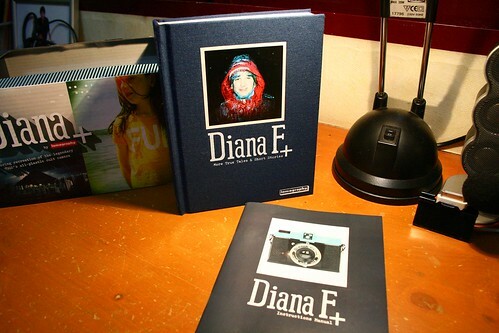 There’s the camera itself in the backage, a manual and a thick cover book about Diana F+ stories and photos taken with the camera but other lomographer. The fisheye adapter is an extra accessory I bought for it as I love to take photo in a super wide angle at almost 180 degree. A real fisheye lens for my DSLR is over RM2000 and this is only a hundred bucks. One sad thing is after changing to the fisheye lens, I think I’ve dropped my original Diana F+ lens, now my Diana F+ is a fisheye camera. So sad but I have another same thing coming to me soon, I’ve ordered a Holga 120N a few weeks ago online and it has yet to be arrived. This is not for newbie, everything of this is operated in manual analogue mode, no battery required and it uses a 120mm format film which means hard to find in today’s market. According to my photography club teacher, 120mm film is mostly used by photography students nowaday. The normal film that you use is a 35mm one, if I want to use the 35mm on my Diana F+ or Holga, I need to buy an adapter for it so the film can fit in the camera. It’s a little bit hard to operate the camera at first but after something, you will gain some experience and will know more about it. Uh yeah, but I think still shops around that can process the film. mne maw bli ha kat kl? I know this. I think it's pretty expensive.